Data from an ongoing phase 3 study of upadacitinib, SELECT-MONOTHERAPY, show that the investigational JAK1-selective inhibitor improves outcomes for patients with moderate-to-severe rheumatoid arthritis who did not adequately respond to methotrexate. In this trial, upadacitinib improved patient-reported outcomes including joint pain, physical function, health-related quality of life, and morning stiffness. The data were presented at the 2018 American College of Rheumatology (ACR)/Association for Rheumatology Health Professionals (ARHP) Annual Meeting in Chicago. 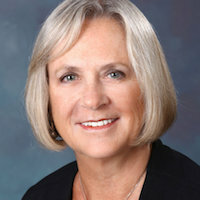 "Upadacitinib significantly improved physical function, joint pain and morning stiffness in addition to health-related quality of life as an oral, monotherapy treatment in this trial," said Vibeke Strand, MD, adjunct clinical professor in the Division of Immunology/Rheumatology at Stanford University and lead investigator in the studies, in a statement. "These results are especially important because many patients cannot tolerate or do not respond to treatment with methotrexate and additional effective monotherapy options are needed for these patients." The double-blind, multicenter study randomized patients to either switch to upadacitinib (15 mg or 30 mg) as a monotherapy or to continue on a stable dose of methotrexate. Improvements in joint pain, as measured by the Patient's Assessment of Pain (based on Visual Analog Scale [VAS]), were reported as early as 2 weeks after the initial treatment with either dose of upadacitinib, compared to 4 weeks with methotrexate. At week 14, 64% and 75% of patients receiving upadacitinib 15 mg and 30 mg, respectively, experienced reduced pain, versus 46% of patients receiving methotrexate (P <.001). At week 14, 65% and 69% of patients receiving upadacitinib 15 mg and 30 mg, respectively, reported improvements in physical function compared to 45% of those receiving methotrexate (P .001). Health-related quality of life improved for 65% and 73% of patients receiving upadacitinib 15 mg and 30 mg, respectively, versus 48% of patients receiving methotrexate (P <.001). At week 14, 27% and 28% of upadacitinib-treated patients reported reduced morning joint stiffness compared to 18% of methotrexate-treated patients (P <.001). Additionally, patients treated with upadacitinib 15 mg and 30 mg experienced a mean reduction of 95 and 102 minutes in the duration of morning stiffness, compared to 53 minutes for methotrexate-treated patients (P <.05). "Upadacitinib as a monotherapy showed significant improvements in rheumatoid arthritis patients' ability to perform daily activities and overall health-related quality of life," said Marek Honczarenko, MD, PhD, vice president, global immunology development, AbbVie. "These results show that the improvements in clinical symptoms are accompanied by improvement in outcomes important to patients. These results reinforce upadacitinib's therapeutic potential across diverse rheumatoid arthritis patient populations and its use as a monotherapy treatment option." Top-line results from SELECT-MONOTHERAPY have shown upadacitinib met the study’s primary endpoint. At week 14, 68/42/23% of patients switched to 15 mg-once daily upadacitinib and 71/52/33% of patients switched to 30 mg once-daily upadacitinib achieved an ACR 20/50/70 response, compared to 41/15/3% of patients treated with methotrexate. The ongoing trial is in a long-term extension phase to evaluate long-term safety, tolerability, and efficacy of once-daily upadacitinib monotherapy (15 mg or 30 mg) in patients who completed the first phase of the study.